Greater Good Realty is proud to be a sponsor of San Diego Professionals Against Cancer 22nd Annual San Diego Festival of Beer. We are so thrilled this is our second year in a row being a sponsor for this amazing event. San Diego Professionals Against Cancer is San Diego’s only 100% Volunteer Driven Cancer Charity. 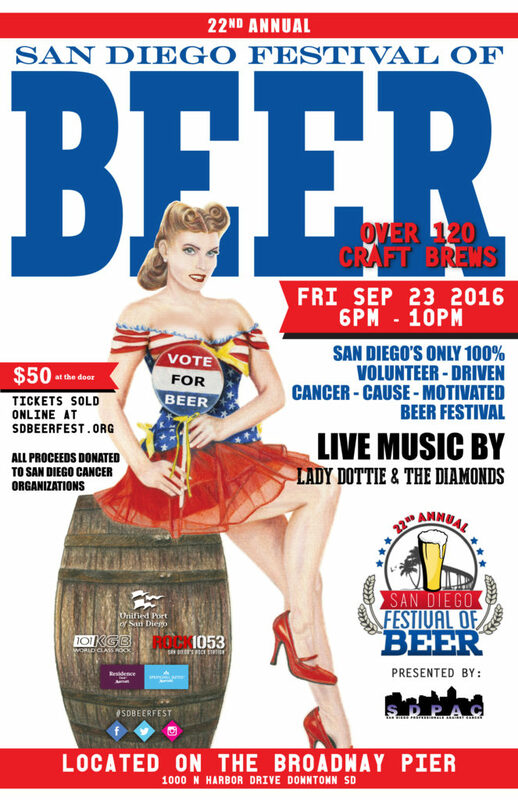 All proceeds from this beer festival will be donated to San Diego Cancer Organizations. This year we are giving away two tickets to San Diego Festival of Beer ($100 value). The beer festival will take place September 23, 2015 from 6PM – 10PM on the Broadway Pier located at 1000 N Harbor Drive, Downtown San Diego, 92101. For more information about the event visit SDBeerFest.org. Fill out the form below to enter the give away!